Feathers are a popular quilting motif. 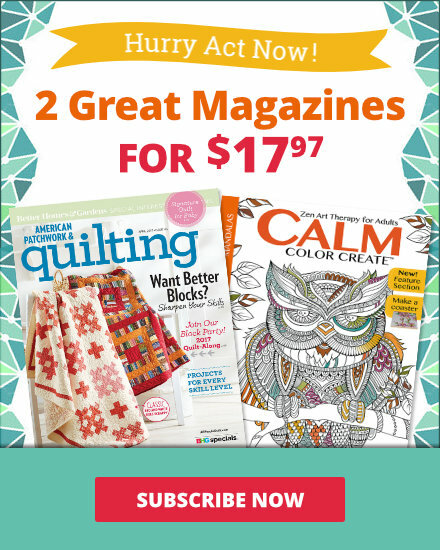 Angela Walters and Jennifer Keltner give tips for getting the perfect feather shape and troubleshooting once you are quilting the design. 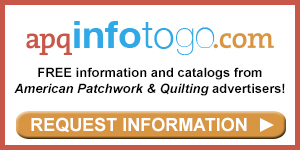 "Hi, I'm Jennifer at the American Patchwork & Quilting studios here with Angela Walters, an ambassador for Handi Quilter. And we're going to talk about troubleshooting a very common feather design that quilters love to make, but often have some common mistakes with." "Feathers are something I've always loved and I think it's because it was really hard for me to learn them. I can get all the other designs down when I first started but it was the feathers that really gave me a hard time. And now looking back, I can see some of those mistakes that I was making. So to talk through those now would be a great opportunity, I think." "Let's get started." "So here we have an example of a nice, basic feather. This is a great feather for beginner and just do a quick little recap how it goes, I just quilted the stem and then started the feather shapes, which I think of of half hearts, but I've heard other people talk about them as merges or petals -- whatever helps you visualize the shape is completely fine." "Right, and while most of this can be done with free motion, I know one thing that helped me when I started quilting feathers and I think to use a water soluble marker and while I wouldn't mark the whole feather, I might just mark the spine shape so I get sort of that undulating curve." "Absolutely. I think that some people, when they're nervous about what they're quilting, to just have a guide to follow, something to get them going is a great idea. And also if a quilter is still unsure about, maybe just marking out a few of the parts of the feather and then going from there just kind of getting on the right track with it right it." "And the beauty of using a marker that is either air soluble or water soluble is you don't have to stitch exactly on the line because those lines are going to go away and no one will ever know that you missed it by that much so. Take advantage of that marking tool if you need to." "Absolutely. So one of the troubleshooting things that we are going to talk about is getting this petal quite right. And another sample I brought is a more custom feather. This feather actually starts from the bottom and you add your little petal and do a little backtracking that way. But again the same thing applies if you don't get this little part of it quite right, you're going to have a feather that doesn't look exactly like you like, so we'll talk through that a little bit. And another thing that will discuss is if you're quilting your feather, whether it's in a block or a border and it's not the right size, you can add some stuff around to really fill in that shape." "Right. So what's your advice for getting that feather shape?" "I like to think of it as a nice curve, and the echoing part, but the biggest thing is just practicing and feeling comfortable with whatever shape that you're working with. Maybe even take your fingers and just kind of try to trace that way to you're gonna go to next and open up your mind to say, 'Okay this is where we're going to go.'" "Absolutely, and since it is sort of an unfamiliar shape, I like your concept of half a heart shape. But if you're quilting across a bottom border or you're quilting sideways sometimes it's hard to get your mind around how do I draw a heart if I have to turn it sideways and some people are great at visualizing that and others not so much. And another tip that you shared was to use a Magna Doodle kind of board that you can draw on again and again and again and just get that in your mind -- that muscle memory of what that shape is like, so that when you're moving the needle you sort of have that shape in your thoughts." "Absolutely, yes. I still use my kids' Magna Doodle for practicing. I'm not afraid to admit that. But it's not so much about training your hands where to go, it's more about training your mind this is how we're going to go. And even if you're tracing along something that you see with your finger, drawing on piece of paper, or with the Magna Doodle like I did, it just helps your mind figure out, 'okay, this is where we're going to go next.' 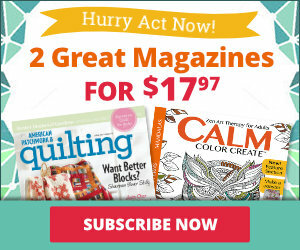 So want to start quilting?" "I would love to." "I'll start quilting a feather and then I'll make some mistakes and we'll talk through about how to fix them. I will say that I never encourage people to rip out their quilting. I suggest just move on and and learn from that. 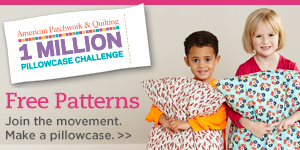 You never became a better quilter by ripping out quilting for sure." "And I love that you also say that it's sort of a record of where you are at that moment in time. Don't think of that as a ruining something, but think about it as reflecting. You know, I look at this quilt, I see how my feathers are over time. I can just get that much better at it." "That's right. You're doing your best work right now. Okay, so let's just quilt the spine. And go right into that petal shape. You know I talked about that like a half heart. I'm going to come out and kind of come in and and merge into that spine. Well, when I started quilting, one of the problems I would come into is I'd started doing something like this. And what happens is when I'm crossing going this way instead of into that, it's setting up the next petal to not turn out right because you don't have that shape." "And I've been there, and pretty soon you get down to this part here and your feathers are going the opposite way." "I get that. I would not rip that out. I would just scoot on down here a little bit. And then just start the next one. The reason I would do that is if you're using thread the blends, you're quilting this on a quilt. nobody's going to notice that. It's going to look fine. Just go ahead and move this down and start to practice that way." "Right, there's no feather judge." "No feather judges. And let's say I come up and do the spine on the other side, and I just want to work on keeping that nice coming in like it's going to overlap that spine. I think the people stress out too much about it. It's just quilting. At the end of the day, it's going to come out. It would come out if you wanted it to, but just relax and not stress out too much about it. But if you've quilted a feather and let's say you're wanting to fill in a bigger area, we can just go around and add some more stuff. And I tend to think smaller than big (to quilt nice and small). Sometimes when I'm filling a border in, I won't quite fill it in correctly. At that point I'll just come back and do an echo and throw in some other stuff -- whatever I need to do to fill in that area consistently." "Combining the feather with the swirl variations that we did earlier. I love it. It's a great way to make use of that space and not have to fit your feather in perfectly. Making feathers can be fun. Get your groove on and start making feathers, and remember the more you make, the better they'll look.